Transfection involves the conscious introduction of nucleic acid molecules into eukaryotic cells. Some of the most common examples of transfection include introducing DNA plasmids possessing gene inserts for expression and small interfering RNA (siRNA). The transfection processes help researchers conduct research studies on synthetic genetics, enabling them modulate gene expressions. For decades, transfection techniques are used as viable analytical tools to facilitate the study of genetic functions, protein synthesis, cell growth and development. The choice of the transfection reagent is mainly motivated by the type of cell and the existing culture conditions for the assay. Cationic lipid-based reagents are the prominent means of transfection and suitable to most cell types. However, for hard-to-transfect cell lines viral-mediated transduction may serve as an excellent alternative, with the additional option of sharing a stable cell line. The use of polyethylenimine (PEI) as a stable cationic polymer is gaining prominence for several small- and large-scale transient expressions in mammalian cells drives transfection reagents and equipment market. PEI is preferred over other transfection reagents due to its low cost and the generation of rapid results. One of the key applications of using PEI in mammalian eukaryotic system is to facilitate the expression of protein systems. Furthermore, the reagent is appropriate for two types of suspension cell lines-HEK 293 GnTi and CHO-S. The only prerequisites for carrying out the transfection process are the preparation of sterile high-quality DNA and the gene to be modulated should be transformed into a recA- strain of Escherichia coli. Subsequently, commercially available endotoxin-free kits help researchers in the isolation of the plasmid DNA on a wide scale, thereby enable them to produce high-quality DNA. Users of this report can rest assured of the accuracy of the information that was assimilated through years of data collection on the global transfection reagents and equipment market and the application of proven research methodologies. SWOT analysis and Porter’s Five Forces analysis are some of the key methods being put into use to extrapolate the spots that players in the market need to focus on. With the help of this report, a user can formulate a successful strategy for their future successes. 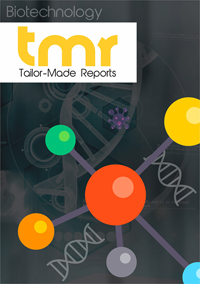 The global transfection reagents and equipment market is expected to show an optimistic rate of growth over the coming years, primarily attributed to the recent advancements in transfection technologies, as well as the strong impetus provided by pharmaceutical and biotechnologies entities towards the research and development efforts in this market. The global transfection reagents and equipment market is also benefitting from the high value alliances and partnerships that have recently emerged in the global scenario, especially between big pharma names and research institutes with the intention of boosting drug discovery rates. The overall demand for synthetic genes has seen a strong rate of growth in the recent past, and is likely to continue doing so for the immediate future. A large part of this demand comes from the research and development efforts to fight cancer, a disease now highly prevalent in all regions. The leading end users of the global transfection reagents and equipment market include biotechnology companies, pharmaceutical companies, and research institutes and academic bodies. The key methods of transfection on which this market can be segmented on, include viral, physical, and biochemical. It is likely for the viral segment to show a very positive rate of growth over the coming years. North America has held a consistent lead in the global transfection reagents and equipment market so far, owing to a highly advanced foundation of research propelled by investments from pharma as well as government initiatives. North America also holds a higher demand priority for protein therapeutics, another reason for the leading share held by the region in the global transfection reagents and equipment market. Europe and Asia Pacific respectively follow North America in the market, however, the growth rate of Asia Pacific is expected to outshine all other regions due to the swiftly-evolving nature of the healthcare infrastructure and research organizations in the region. Key names associated with the global transfection reagents and equipment market so far, included Thermo Fisher Scientific Inc., Hoffmann-La Roche Ltd., Promega Corporation, Polyplus-transfection SA, QIAGEN N.V., Lonza Group, Bio-Rad Laboratories, and Sigma-Aldrich Corporation.